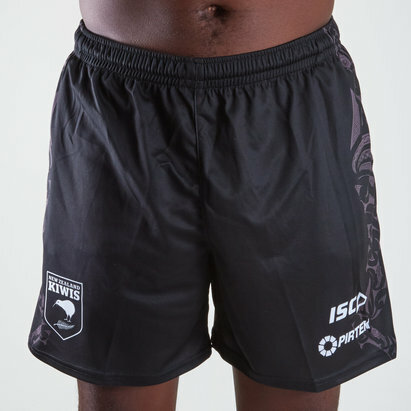 Add these Kiwis shorts into your training range and show some passion and support for your favourite league nation with the New Zealand Kiwis 2017/18 Home Rugby League Shorts from Macron. 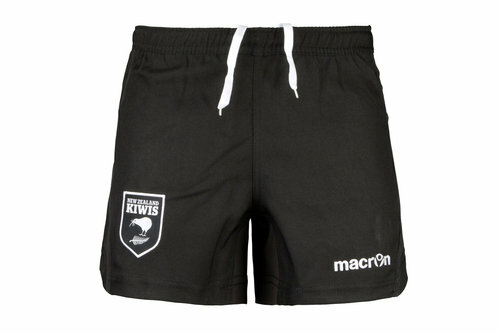 Traditionally black in colour featuring the New Zealand Kiwis badge upon the leg alongside the Macron badge upon the other. An adjustable waistband with drawstrings ensures a comfortable and snug fit, ensuring there are no slip-ups during training sessions. Challenging for the Rugby League World Cup as one of the premier countries make sure you show some passion and cheer on the boys as they look for a second winning tournament.